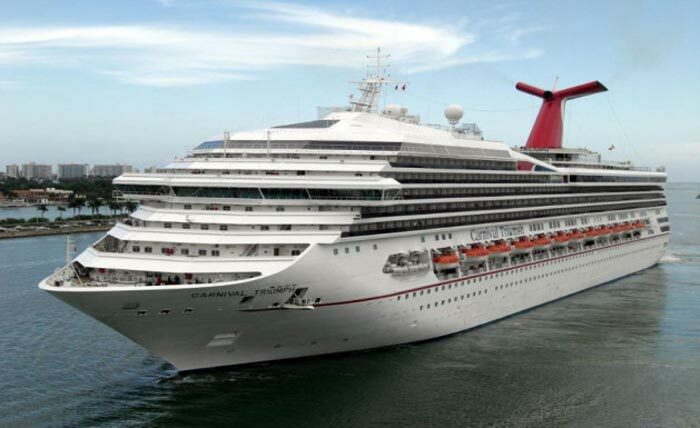 There has been an important air lift from onboard the Carnival Triumph on Monday morning Jan 26th. The Alabama news site is reporting that a 8 month old baby girl has been airlifted by the Coast Guard. The sites mention that the baby was suffering from seizures and breathing. An Air Station Houston MH-65 Dolphin helicopter crew hoists the infant up to the Helicopter as see in the video footage below. At the time the Coast Guard was dispatched the Carnival Triumph was 230 miles southeast of Galveston, Texas in the Gulf of Mexico. The baby’s mother was also taken along once the Coast guard arrived at the location at around 11:48 pm. The 8 month old baby is now at the Memorial Hermann Hospital in Houston. We are not expecting any further news on the condition of the baby due to her age. It seems the Carnival Triumph was heading back to its homeport in Galveston where it was scheduled to arrive at around 8:30 am after a 4-day western Caribbean cruise.